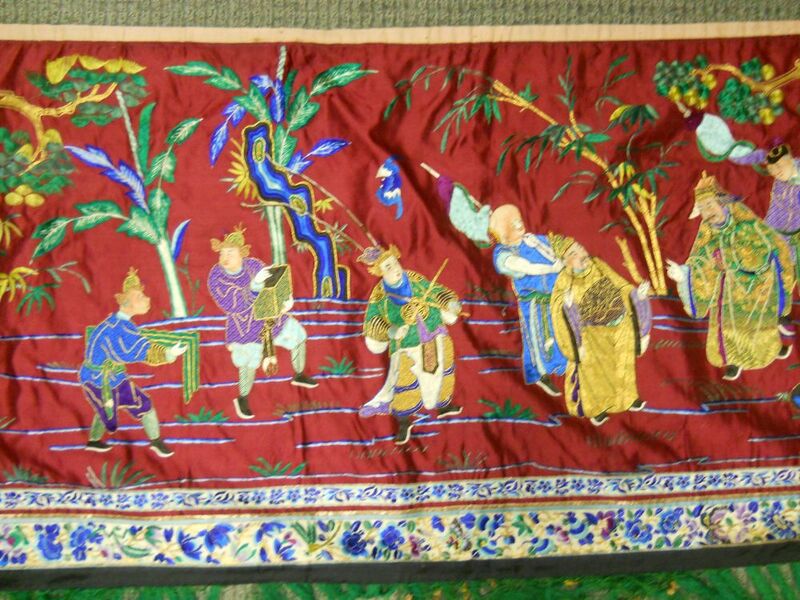 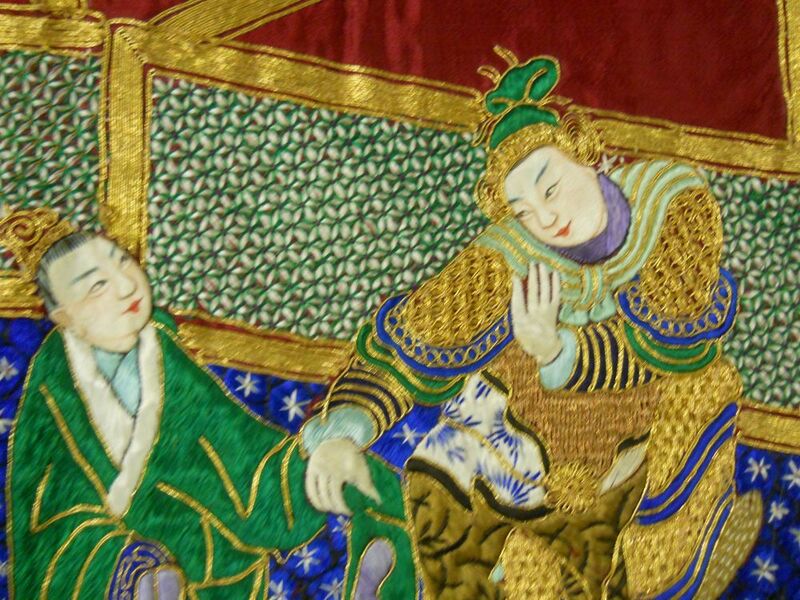 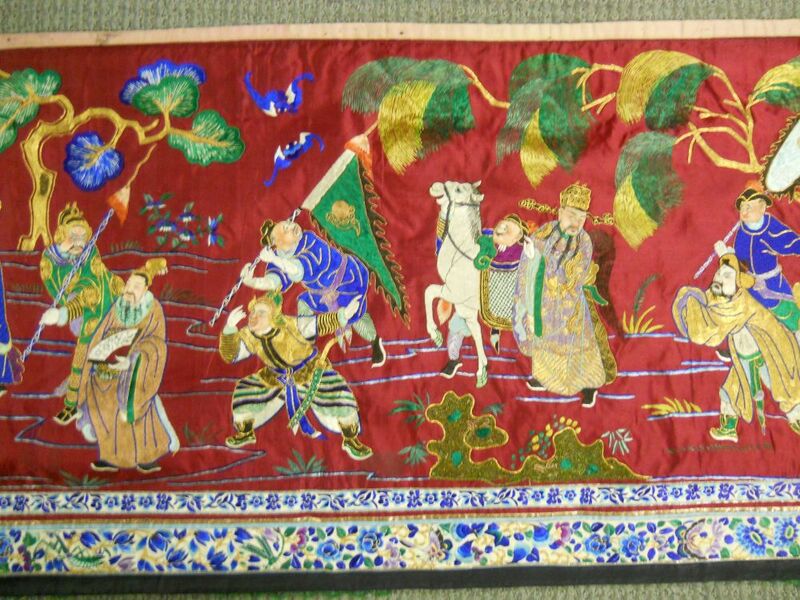 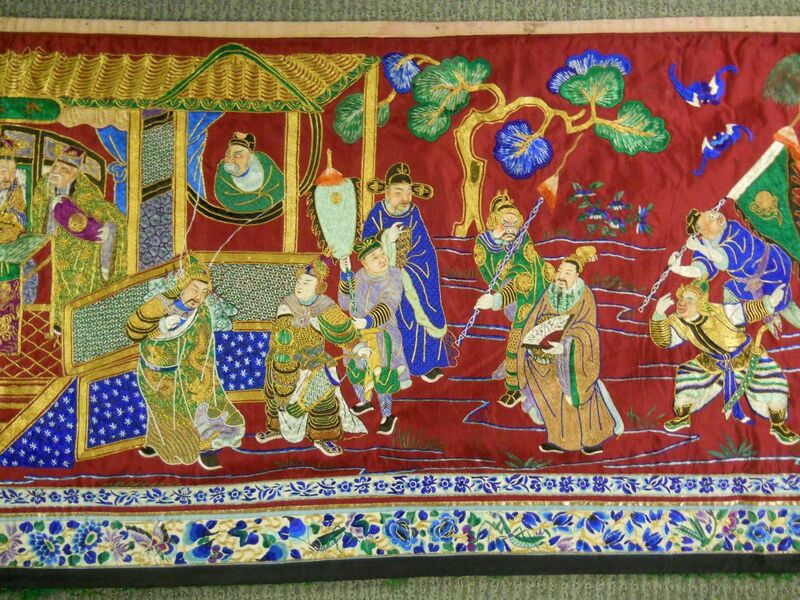 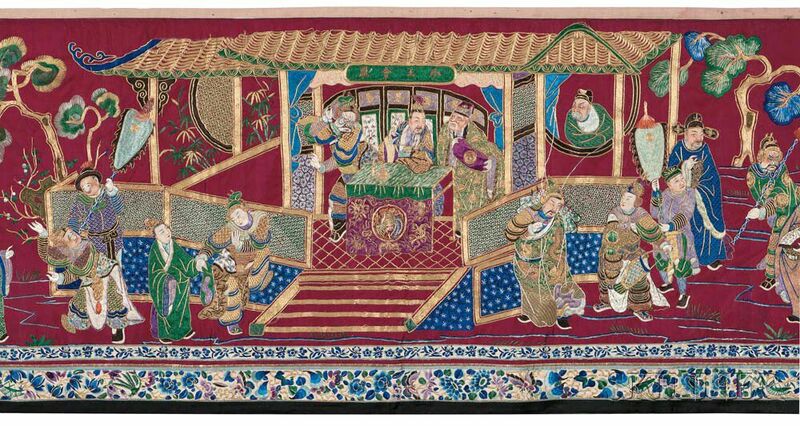 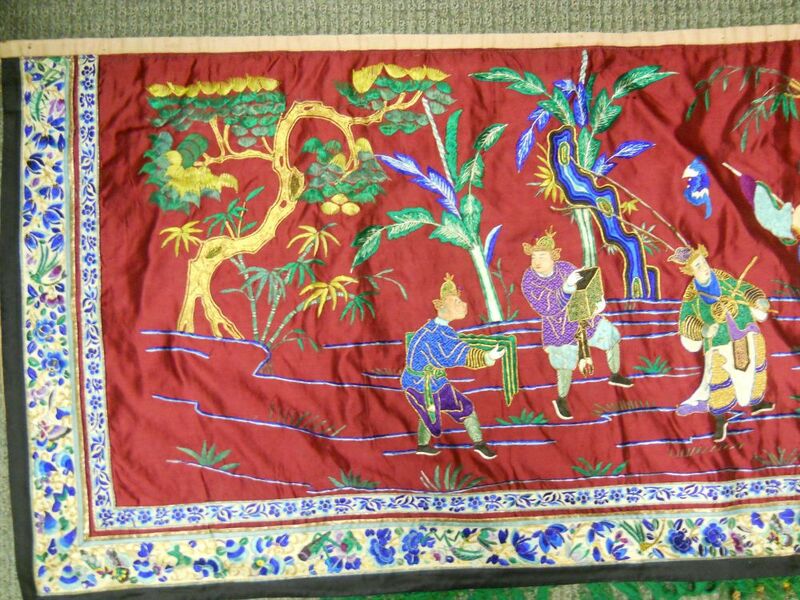 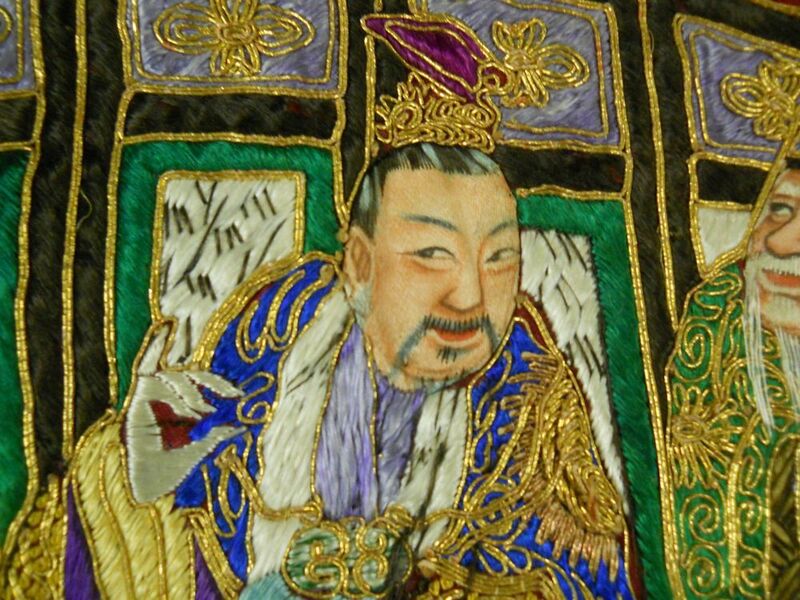 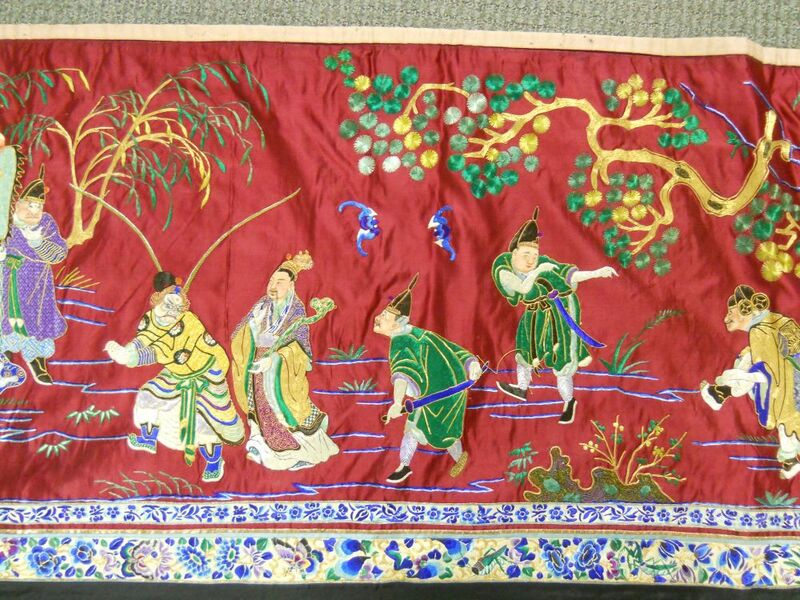 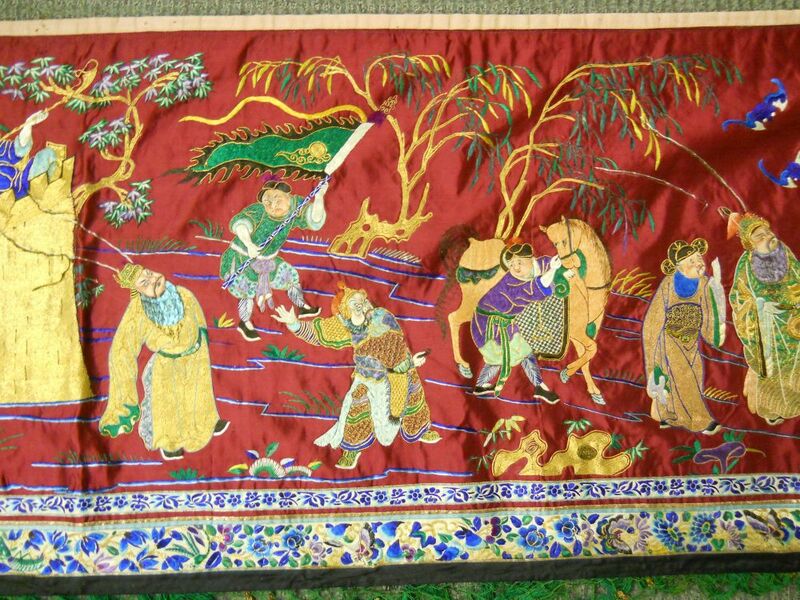 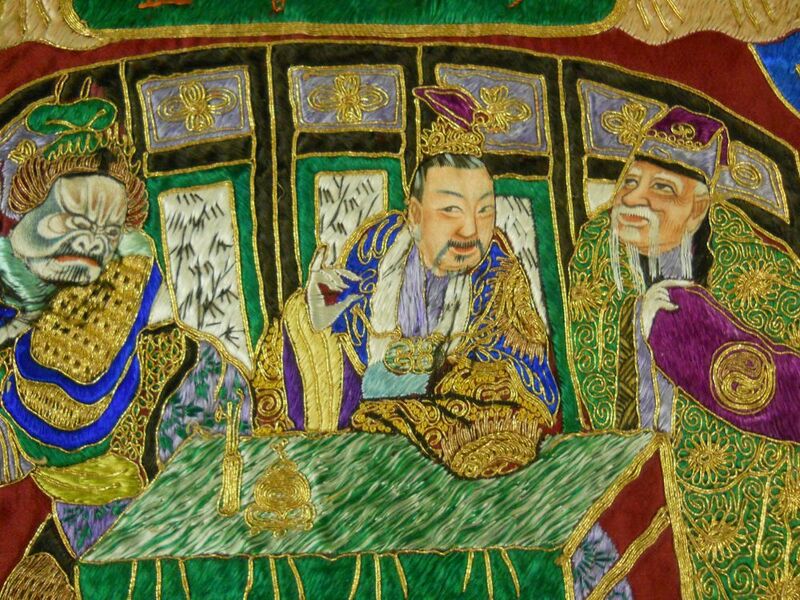 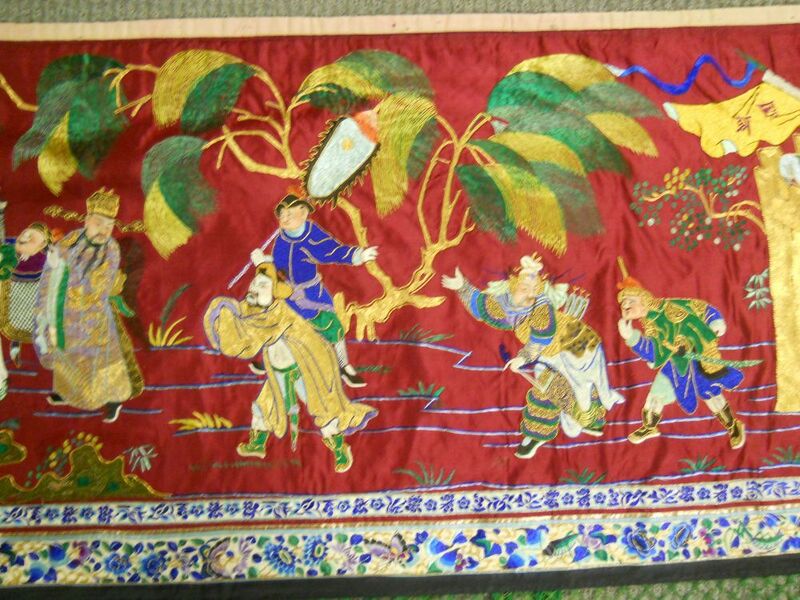 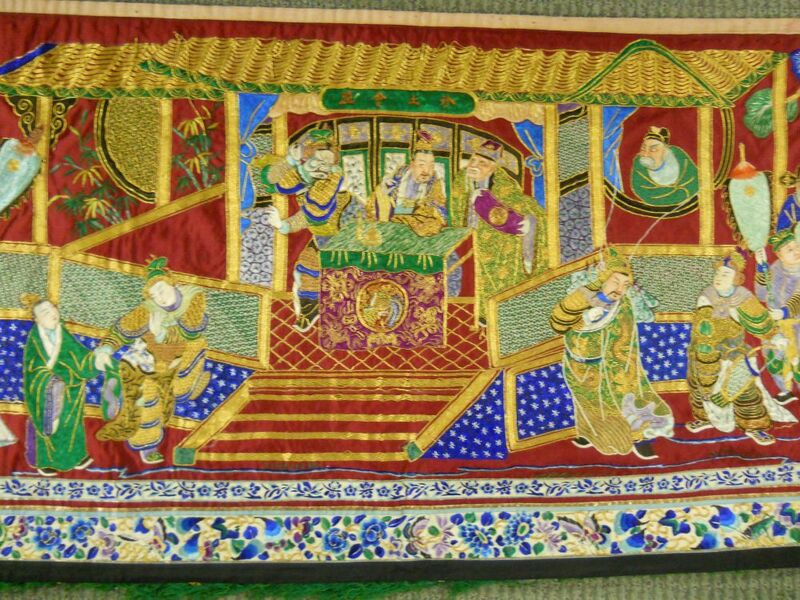 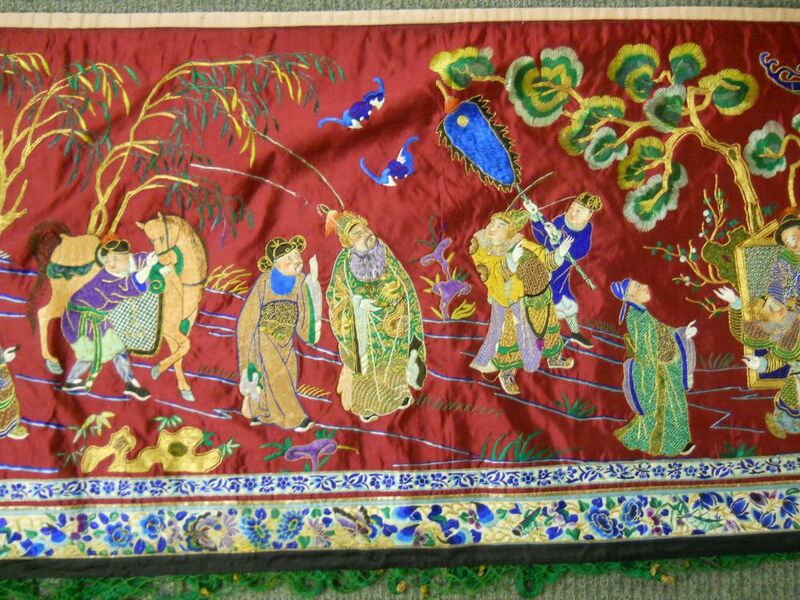 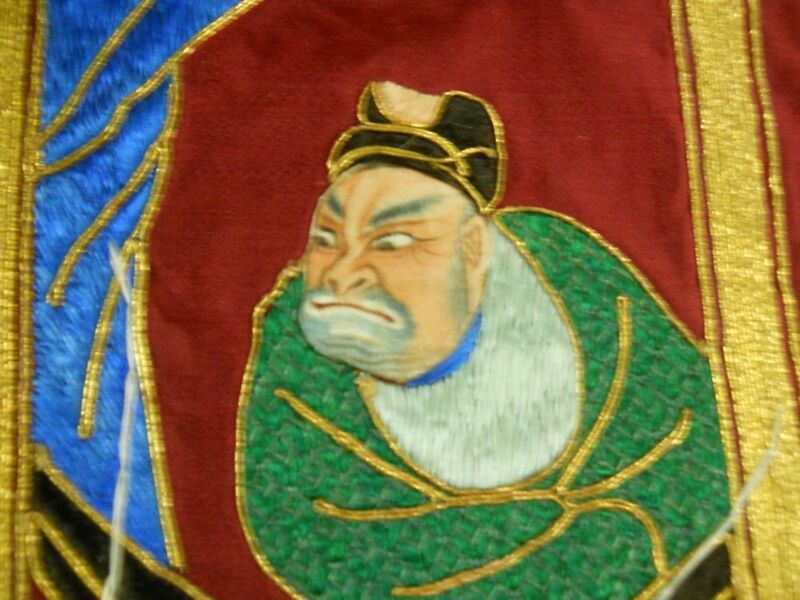 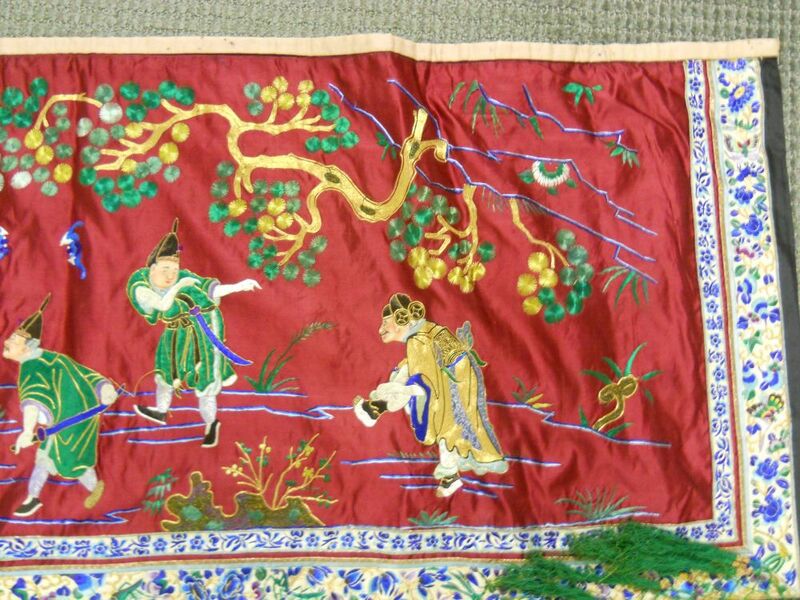 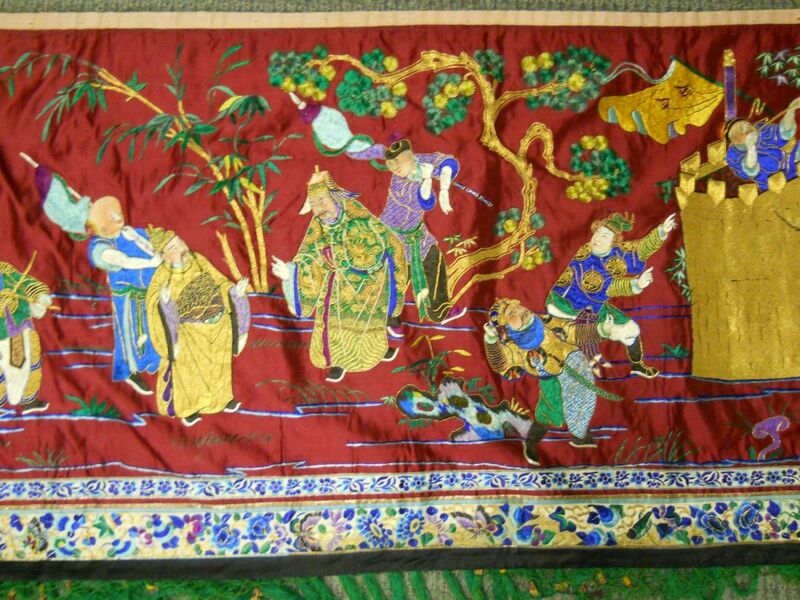 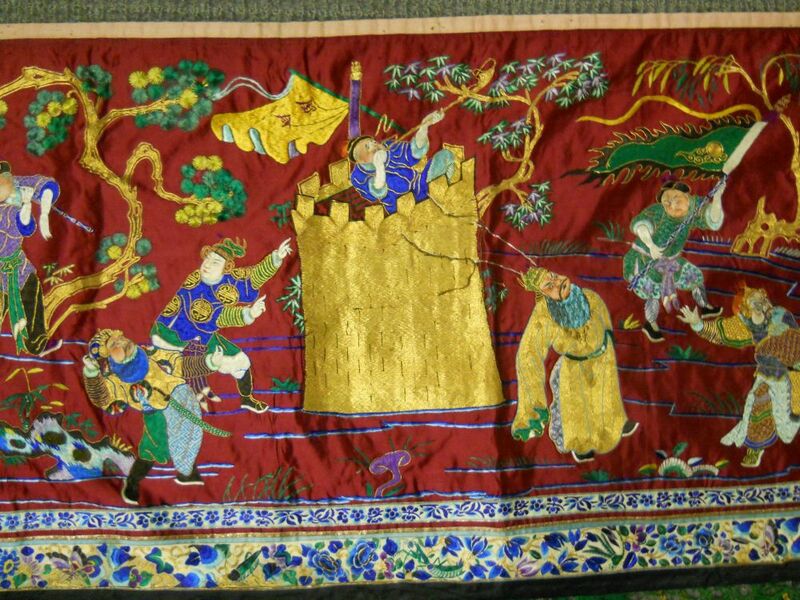 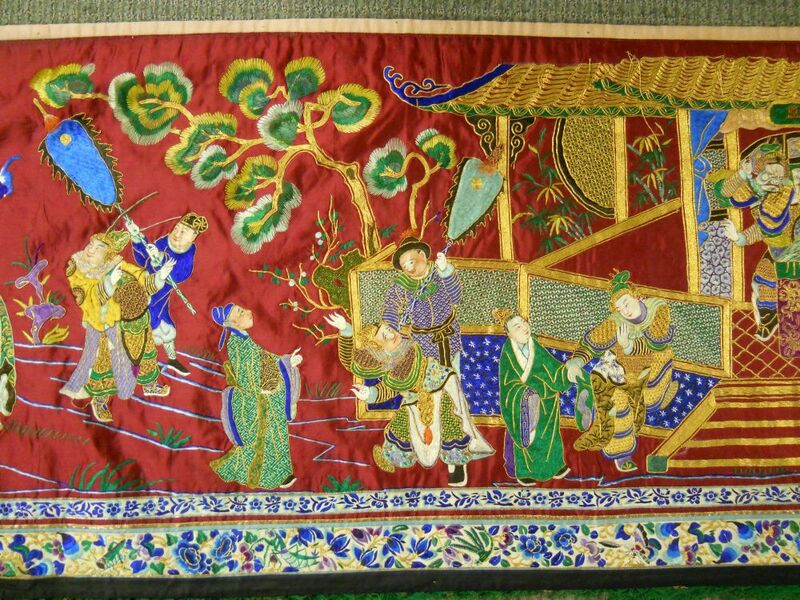 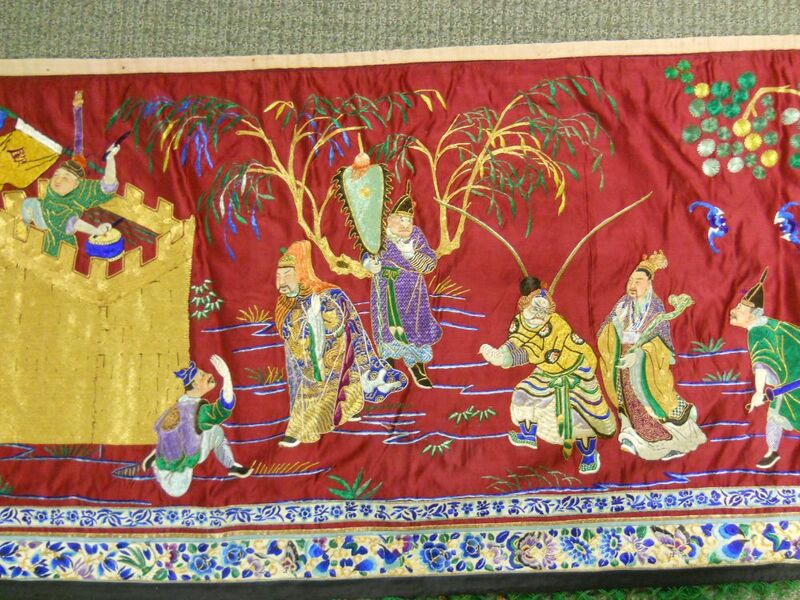 Embroidered Hanging Valance, China, 19th century, red silk with a green silk macrame tassel trim, depicting a court official at the center of a performance, surrounded by performers in costume, attendants, and guests, all embroidered in a variety of stitches, the faces of the figures with hand-painted details, not including trim approx. 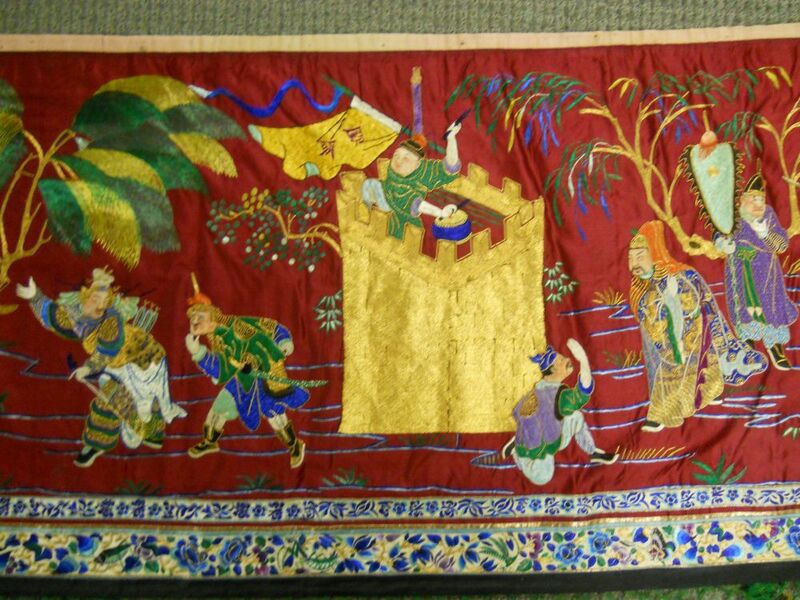 20 in x 12 ft. 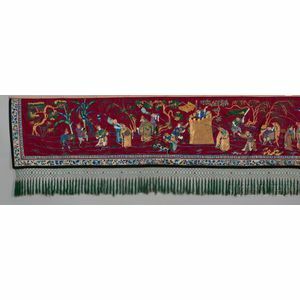 Missing a few tassels, minor stains/water damage, hole in backing.